Gregg Kofi Brown has performed with Amadou & Mariam, Damon Albarn’s African Express, Billy Cobham, Lauryn Hill, Youssou Ndour, Bombino, & Osibisa. With his critically acclaimed albums ‘Rock n Roll and UFOs’ and Gregg Kofi Brown & Friends ‘Together as One’ now released on Gonzo Multimedia he has hit the road promoting his music with an amazing band of international musicians . 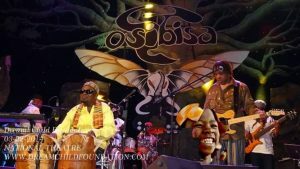 Gregg Kofi Brown has been a member of the world class African pioneers OSIBISA for over 34 years and has travelled all over the world promoting the music of Ghana. Recent years has seen Gregg Kofi Brown & Osibisa support Santana on his European tour, play the prestigious Byron Bay Blues Festival and make several tours to India . His live set will consist of Afro beat, African jazz and Afro\Latin pop classics. 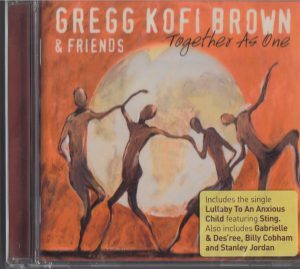 ‘Together as One’ is Gregg Kofi Brown’s first solo album and features the likes of STING, STANLEY JORDAN, GABRIELLE, DES’REE & BILLY COBHAM. This album is a combination of the African & jazz music that have driven Gregg’s career. 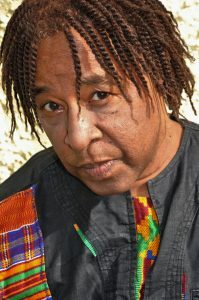 With conscience laden lyrics and funky afro-rhythms Gregg has a created a multi-national musical platform with his guest artists that speaks to many peoples across the world. The production is by Nicolosi Productions of Milan, Italy. Gregg Kofi Brown was executive producer of the 2003 Evening Standard cover-mount CD give away in memory of Damilola Taylor which featured the likes of Robbie Williams, Craig David, Gorillaz, Blue and Ms.Dynamite. In April 1997, Gregg was invited by David Sonenberg (producer of Academy award winner “When We Were Kings”) to document & film Lauryn Hill’s (the Fugees) fact-finding mission in East Africa. This documentary was made to highlight the problems of the refugees in Kenya, Uganda, Rwanda and Tanzania and sponsored by Lauryn’s charity The Refugee Project. Gregg & Lauryn performed together several times during this trip and was encouraged by her to make this album. 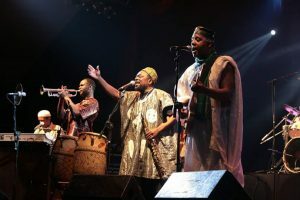 1998 saw Gregg Kofi & Osibisa perform a special peace concert on hugely popular Asian Music TV programme Sarigama alongside classical Asian stars Jagdit Singh, Farida Khan Banu, Golam Ali, & Runa Laila. In aid of peace between India & Pakistan this show was broadcast to over a half billion people around the world. As an actor/singer Gregg has appeared in several hit London Westend musicals including: Tommy, The Blues Brothers, The Buddy Holly Story and portrayed Jellyroll Morton at the Royal Court Theatre.